I tried to create dynamics and drama by hand shading the whole wall, I hope it looks good. Very nice. Relaxing to look at. Is this Sakura from Card Captors of Tsubasa? Either way, looks great. Good work. * Is this Sakura from Card Captors OR Tsubasa? looks so great the bg efx's! thumbs up! good job! i liked it! hahas blue is sakura colour arhh! 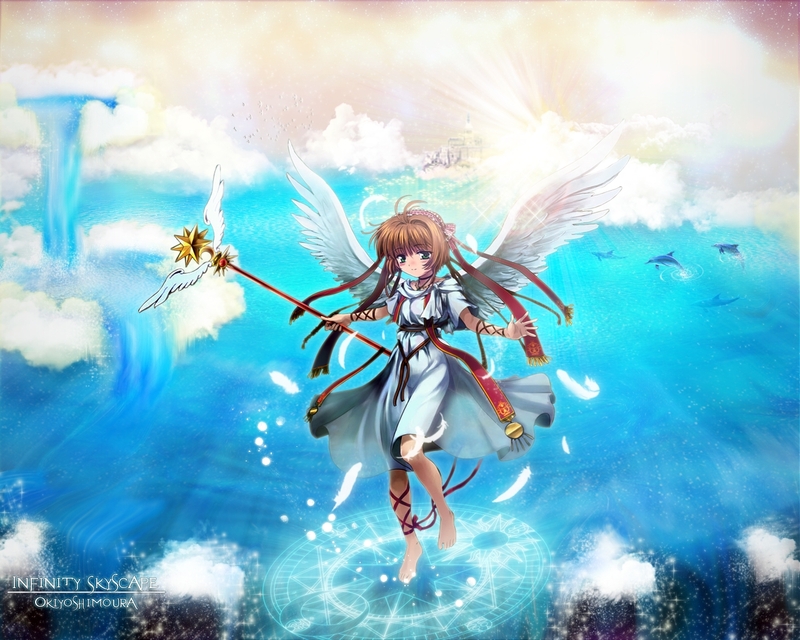 woow k bien se ve sakura parece un angel. How beautiful and cute she is! Why sakura's staff looks different?